Answer: One of the best things about Windows Server 2008 R2 is the way we can use PowerShell to install and configure roles and features. With R2 installing roles and features is really easy and simple, so in this article I’ll show you how to install DHCP server using PowerShell cmdlet with minimum clicks. 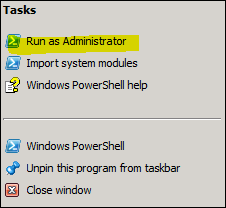 Right Click On the PowerShell icon and Click on Run as Administrator. 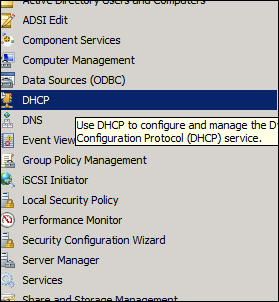 In my next article I’ll show you how to configure DHCP server.